Potato murukku is an easy yet delicious murukku (chakli) recipe. Sometime back , I had shared a Masala Chakli recipe. This recipe is a much easier version. All you need is rice flour and boiled potato. 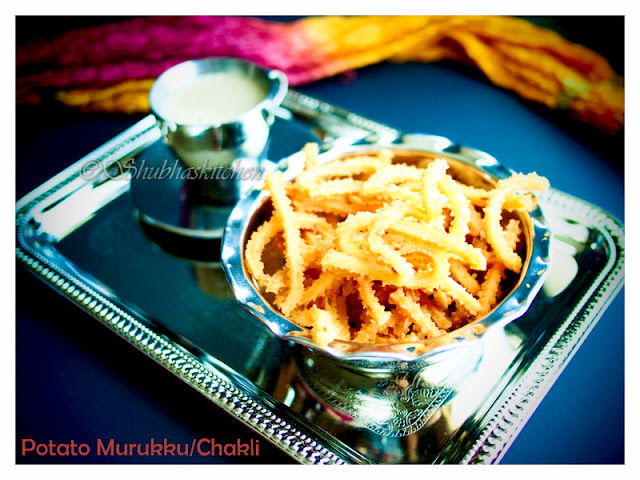 This murukku can be prepared in no time and makes a great snack. I had prepared this delicious snack on the occasion of Janmashtami. Cook the potato. Once done, let it cool down. Peel the skin off. 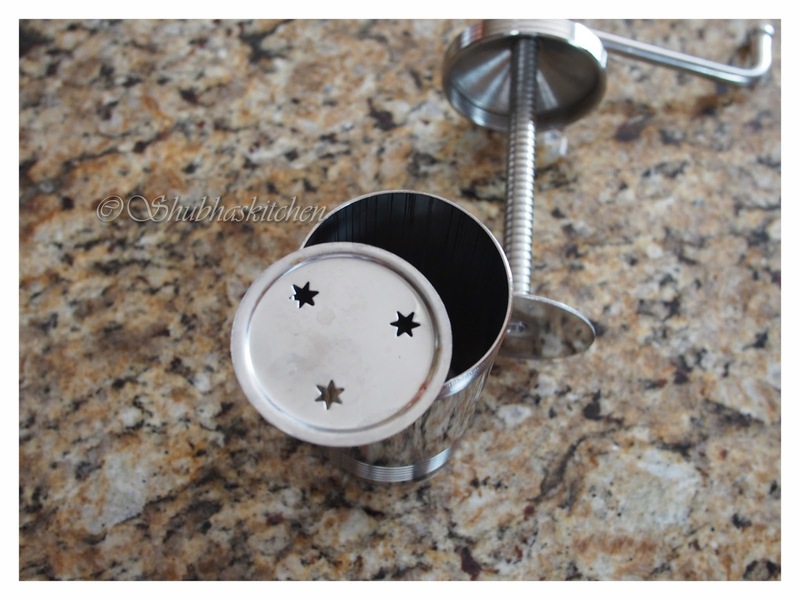 Now grind the potato with 2 tbsp of water until u get a smooth paste. As an alternative you can finely grate the boiled potatoes too. 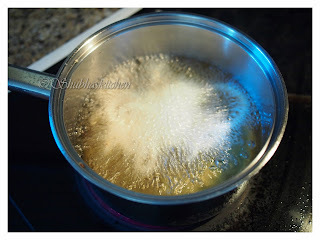 In a large mixing bowl, take the rice flour, potato paste, salt, hing, cumin seeds and melted butter. 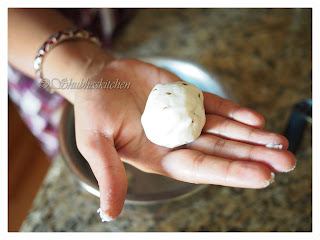 Mix it gently until all the ingredients are well incorporated.Now add water little by little to the flour mixture to for a smooth non sticky dough. Keep the dough covered until ready for use. 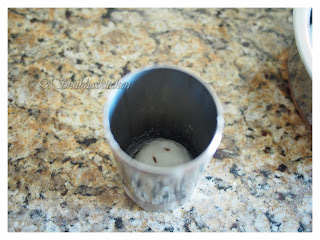 Heat oil in a deep bottomed pan. To test if the oil is ready for deep frying, add a pinch of the dough in to the hot oil. If it comes up immediately, then the oil is ready to be used for deep frying. 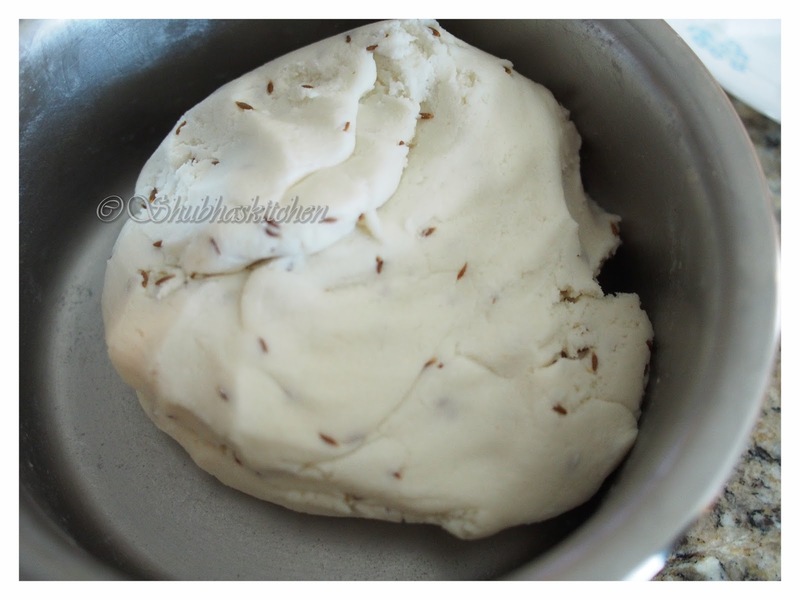 Take a small portion of the dough and place it in the murukku/chakli press. 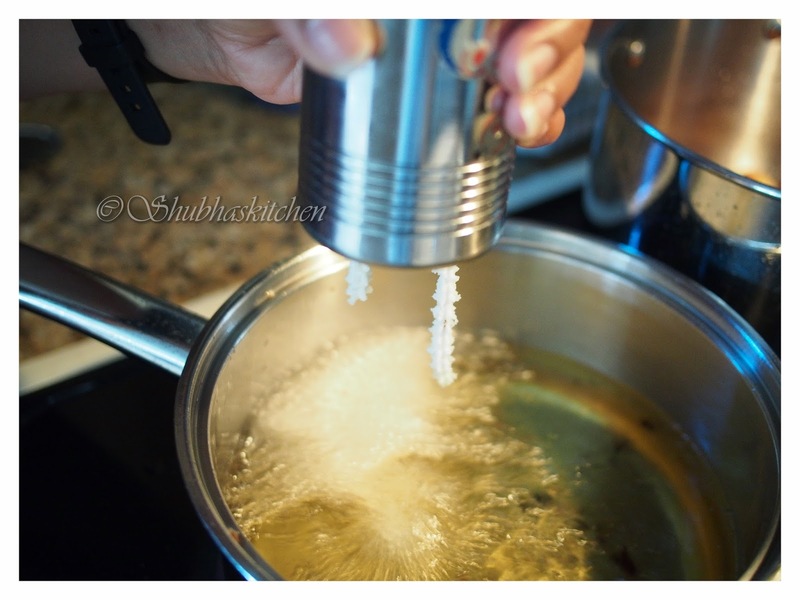 Press the dough directly in to the hot oil. It will start to sizzle. 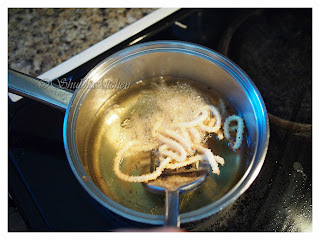 Once the bubbling reduces, turn the chaklis/murukkus and cook both sides until golden. Once done, take the chaklis out and drain the excess oil in a paper towel. Repeat the process with the remaining dough and later store them in an air tight container. 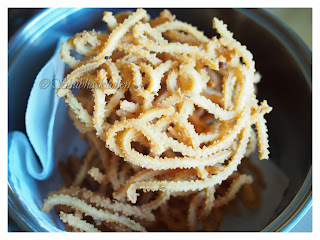 Love these super crunchy cheklis..I just want the whole plate..can keep munching the whole day!! 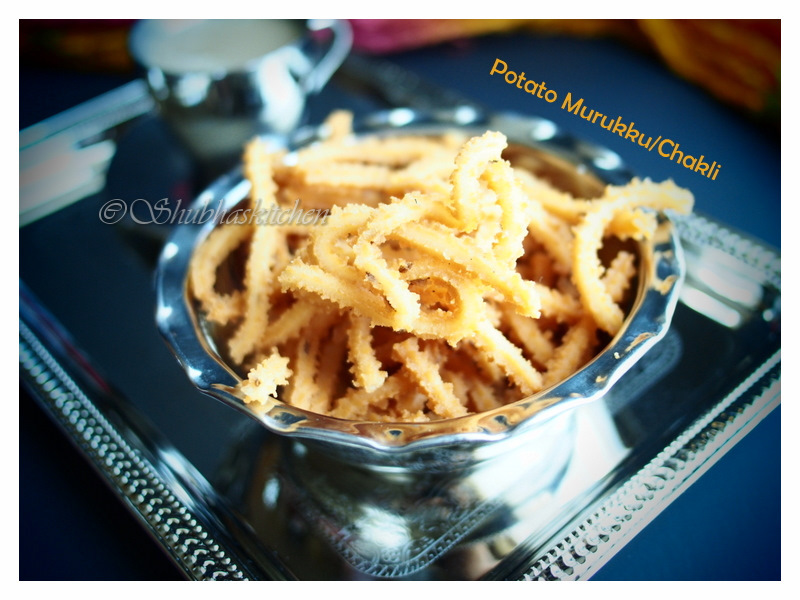 potato murukku looks delicious, very nice. Looks so crisp and tempting! Superb recipe yet so simplified...I am loving it Shubha...Going to give this a try! 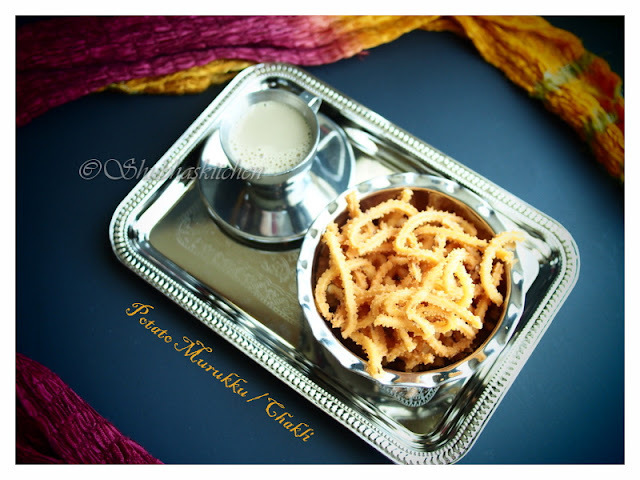 Wow, murukku is just sooo tempting and nice step wise clicks and presentation. 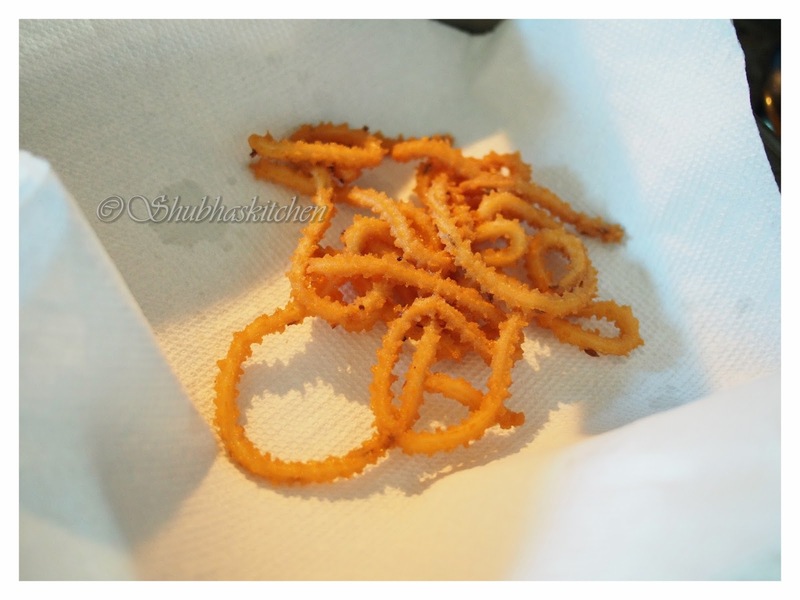 Mouth watering chaklis. I love to have these with a cup of tea.